Here in Australia, it’s what lots of us call a hen. It rhymes with book. As a Primary School (Elementary School) teacher, I was a real mother hen, who loved reading aloud to my chicks. The Book Chook blog shares snippets I discover from the wonderful world and words of kids’ literacy, learning and literature. I'm passionate about helping kids read, write and create. I genuinely love to create, find and share useful educational resources with parents, teachers and librarians. To ask me a question, use the Contact Me form in the right side column. But please note that I no longer accept book and app suggestions. If you're looking for activities to develop children's communication and thinking skills, try the Book Chook Bag of Tricks. 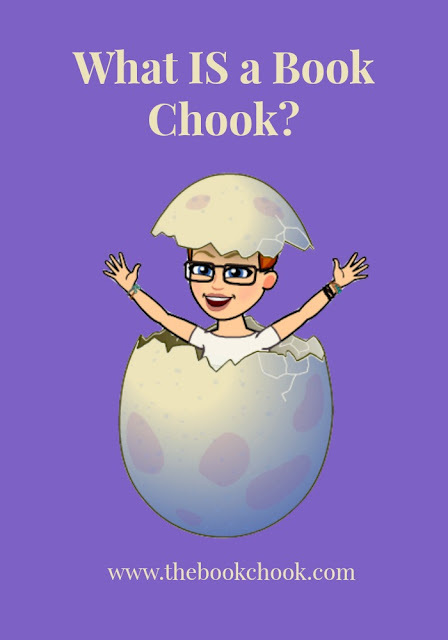 If you'd like to write reviews of books or educational products for The Book Chook, or write a guest post with content that suits the blog, read more about that in Contribute to The Book Chook. The Book Chook's real name is Susan Stephenson. I am a writer, editor, educator and reviewer. 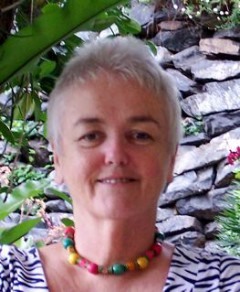 You'll find more information about me at my other online home, www.susanstephenson.com.au, including a list of my published credits and professional presentations. Enjoy your visit to The Book Chook! Ah, your blog is an exciting find for me! I'm a library assistant in a small (very small) town library, and a homeschooling mother of six. So glad you are here! Hi Lily! Thanks for introducing yourself. I love to get to know my readers and hope you'll all jump in and add value to my posts with your own comments and suggestions. I am now a follower and will be back! I AM interested, Rachel, so thanks for making contact. Glad you're following and hope you'll jump in and add value to my posts with your comments anytime. That's sheer Australian magic. I love the work you do for little kids and your blog is very informative. I like your cartoon characters too. I am falling in love with your site! You offer tons of resources! Thanks! What a wonderful site you have here! And I'm so excited to add so many international resources and books that aren't featured so well here in the U.S.
Also thanks for the welcome you've given this new blogger. I'll be back lots. Well I've followed you from the review link for Hootenanny Blogs, a new publisher in the small town where I live. But I also know you from Digital Parents. Am hoping at some point to offer the book of Boy 1 for you to review, ;-) . I'm so glad to have found your blog - and you're based in Australia. I have a nine month old who loves to be read to and I will be embarking on the road with her of home-schooling when she's ready. I figure reading with her is the best place to start - plus I'm a writer, so I might have an ulterior motive. Look forward to dipping into your site. Wow! This is a fantastic site. I've spent lots of time in Australia, mostly Sydney and Melbourne, but I wasn't familiar with "Chooks" until now. Thanks for your contribution to the reading effort. We share a common interest. Keep up the great work. Glad to have found your blog. As a writer (not yet published, but I write, which makes me a writer, right?) I love reading what other people are saying about children's books. And being a quarter Australian I knew exactly what a chook was - I always forget that it's a particularly Aussie term, as it's one I use all the time! Looking forward to reading more on here. @ElliAbsolutely you're a writer, Elli! Welcome to the select, discerning group of adults who love and admire children's literature! @Growing Book by Book Thanks for letting me know about the problem. I am looking into it. I have tried to contact you via your Blogger profile, but there is no email attached to it. Because of the horrendous amount of spam I get, I'm reluctant to put my email here. But if you peek inside the Contribute tab, you will see a cunningly disguised email address. @Growing Book by Book Contact me seems to be working again now, 20/7/12. @Sokat Rachman Selamat pagi, Sokat! Owh.. You can speak Indonesian! I think you two are both working towards the same goals of literacy and reading for the younger age group! Very nice to have found your blog. I look forward to reading (and sharing) much more in the future. Always lovely to meet another literacy advocate, John! I've published your comment with the link to your website. However, I refer you (and all readers) to my New Review Policy (above.) There is only one Book Chook, and much as I love books, I don't enjoy drowning in them, so I have been forced to restrict my intake.